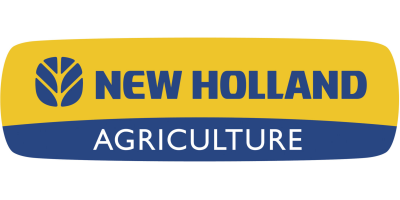 New Holland - T5 Series - Agricultural Tractors - Tractors by New Holland Agriculture - a Brand of CNH Global N.V.
It’s important to have a tractor with powerful and precise hydraulics to ensure that you do a quality job. An open center system with tandem gear pumps is featured on all T5 series tractors. These two pumps work independently, one powering the high pressure circuit (implement pump) and the other powering the low pressure circuit (steering). The implement pump on T5 tractors has a flow of 17.2 gallons per minute (gpm) 65.1 liters per minute (l/min) and the steering pump has a flow of 10 gpm (38 l/min). Together these two provide 27.2 gpm (103.1 l/min) of flow. A larger implement pump can be installed, boosting flow to 22.2 gpm (84 l/min). Additionally, a larger steering and services pump with 11.4 gpm (43 l/min) can be installed as well, combining total flow with the optional larger pump to an impressive total of 33.6 gpm (127.1 l/min). Two closed center rear remotes with quick release couplers are standard, but all T5 tractors can be equipped with three remotes as an option. Two mid-mount valves are also optional for you to choose from. The first option is a two-function mid-mount valve and joystick with one switch. The other option is an electrohydraulic, load-sensing, mid-mount valve that is controlled by the unique armrest-mounted electronic joystick. Measured at the ball ends, the rear linkage on a T5 tractor is capable of lifting 6,393 lbs. (2,900 kg.). For those who demand more lift capacity, two additional 50mm auxiliary lift rams can provide an outstanding 11,949 lbs. (5,420 kg.) of lift. To control the three-point hitch, an ergonomic mouse is located within easy reach of the operator’s right hand. This mouse is an acclaimed New Holland design for one-handed operation. For instance, a convenient fast link lower button makes returning an implement back to work even easier, helping to speed up your productivity. Rear fender controls are also standard on all T5 tractors, saving you the hassle of having to climbing on and off the tractor when hooking up implements. A front three-point hitch with and without PTO is also available to increase your tractor’s versatility even more. You’ll be impressed when you look up and have a perfect view of your loader thanks to the optional high visibility panel. Open the panel up when you want fresh air or close it and pull the integrated sunshade across when the sun gets too hot. The most frequently used controls are all conveniently located on the CommandArc™ console to your right. This ergonomic cluster puts your PTO, hydraulic levers, throttle, three-point hitch controls, and even your loader joystick all in one convenient location. Tailor your comfort with an optional premium, air suspension seat. You can also teach someone else how you do things thanks to a full-size instructor seat. The clear and visible instrument cluster moves in conjunction with the tilt steering column for an unobstructed view of key operating information. Consult the easy to read performance monitor for information on your acres worked, direction, and service information in the convenient three-section display. As a farmer, you want to spend more time working and less time maintaining your tractor, so T5 series tractors have been designed to be ready whenever you are. The long, 500-hour service intervals, impressive fuel economy, and simple daily checks thanks to the one-piece flip-up hood make maintaining your T5 simple. Your engine oil and fill points are conveniently located with no need to lift the hood, which makes routine checks faster and servicing simpler. No reviews were found for New Holland - Model T5 Series - Tractors. Be the first to review!